Geok Lan has almost 30 years of in-depth experience in the corporate services industry. She has advised and assisted various clients in the setting up of domestic and offshore structures. She also helps with the on-going maintenance of these companies to ensure that they are in compliance with the requirements. 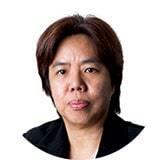 She started her career with the Registry of Companies and Business which is now the Accounting and Corporate Regulatory Authority of Singapore (ACRA). Prior to joining ZICO, Geok Lan has also worked with two very established fiduciary services companies.